My name is Robert Groenen and I am a Dutch national residing in Eindhoven The Netherlands. I have started this blog not long time ago to share my passion for Africa. The blog name ‘FishMoney’ refers to pocket-money, the husband gives his wife to go to the market to buy food (often fish). Why this blog? I know from experience, there’s a lot of happiness, talents, richness and business opportunities on the African continent. Writing about African related subjects is inspiring. My professional specialism is buying and shipping cars and trucks to Africa upon request. I do work with partners who only sell the highest quality cars. For an overview of the present stock, please look overhere. If you didn’t find what you are looking for, tell me your specifications and I will find the best offer for you. 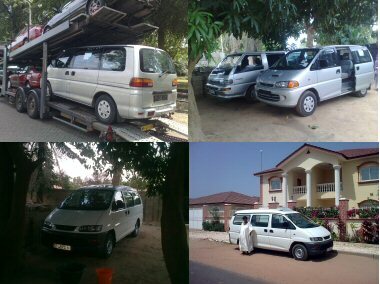 I will also take care of shipping your Car, Van, Autobus or Truck to Senegal, The Gambia, Sierra Leone, Benin, Nigeria, Guinea Bissau and Guinea Conakry (inquiries in Dutch, English and French language are welcome). The list of articles is still short, yes, but please do come back now and then. Your visit is highly appreciated! Don’t hesitate to ask questions through the contact page. I hope you’ve enjoyed my articles and leave a comment or share on social media. Disclamer: No rights can be claimed in relation to this website.